The goal of the Greater Washington Community Kollel is twofold. Firstly, to develop Rabbinic scholars who are deeply knowledgeable in Jewish law and custom, and well-qualified to serve as effective leaders and educators in Greater Washington. Secondly, to engage the community and to inspire and educate both the young and old, affiliated and unaffiliated, scholar and beginner alike, through the power of Torah study, our heritage. To achieve these two objectives, the Kollel operates on two parallel, complementary levels. It is a place of Jewish learning where our carefully selected, fully trained Kollel Scholars continue in intensive Torah study. In addition, these scholars devote themselves to reaching out to the community, teaching, educating, and inspiring. The Kollel has extensive classes and programs which run the gamut of the Jewish experience including advanced and beginner Talmud, Jewish ethics and morality, prayer, and self-improvement. 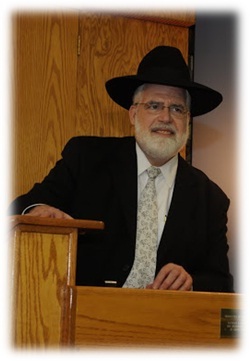 The Kollel has reached hundreds of men and women with classes in D.C., Kemp Mill, Rockville, Potomac, and White Oak. Our Kollel scholars have managed to touch the lives of many, teaching how the Torah applies to everyday lives and enriching the spectrum of our existence from effective parenting and happy marriages, to our conduct in business and society, and living a life of happiness and meaning. Our alumni, true to our mission, are already enriching Greater Washington as well-respected educators and outreach professionals.